Understanding bankruptcy is difficult. Did the court give you a bankruptcy discharge? What does that mean and do you still owe money? Find out here. Although bankruptcy filings have begun to shrink compared to the end of the Great Recession, there were still almost 800,000 filings in federal courts in 2016. With the rise of new, crippling forms of debt, like student loans, it’s likely that number will creep up again. After all, although 2016 saw a decline, the rate of decline is slowing. To get through the bankruptcy process means reaching the date where the court allows a bankruptcy discharge. A bankruptcy discharge is what those who struggle with debt await. It’s the end of their long slog up a mountain of debt to reach the chance to start anew. Although bankruptcy discharge can be bittersweet, there are significant caveats. Follow this guide to understand what it means when a bankruptcy is discharged. 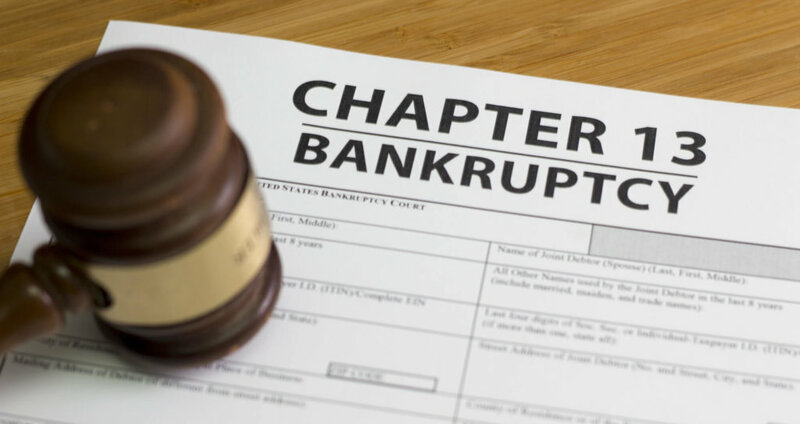 A “bankruptcy discharge” is issued when the court reaches the end of a bankruptcy case, whether under a Chapter 7 or a Chapter 13. A discharge acknowledges that the party who files for bankruptcy met its requirements. In turn, the court order relieves the party from their debt obligations. Is a Bankruptcy Discharge Automatic? In most bankruptcy cases, discharges are the automatic end of the case, assuming all the obligations are met. However, not every case ends with a discharge. If a creditor sues, then the debt issued by that lender would not be “relieved” until the end of the new litigation. The average Chapter 7 case lasts from four to six months. The timeline begins with the date it’s filed to the date a court issues a discharge. Once a bankruptcy petition is filed, the petitioner is required to attend the “341 meeting” of creditors between 20 to 40 days later. During the session, the petitioner answers routine questions about their debt. If the petitioner’s answers create more issues, they may be asked to provide additional documents or clarify their statements. On average, the meeting lasts 10 minutes. Creditors involved in the case have 30 days to object to the discharge of the debts they’re owed or to the entire bankruptcy. If they do not object at all or in time, the case moves to closing. But before the case can be discharged, the petitioner must complete a mandatory financial management course. The course must be completed within 60 days after the “341 meeting” of creditors. In most clear-cut cases, a bankruptcy discharge is issued around 60 days after the hearing, assuming the course is completed and no further litigation is filed. A bankruptcy discharge date officially determines the end of a case. What Debt Is Eliminated in a Discharge? What is Debt NOT Included in a Discharge? Student loan debt is a common form of debt, but it is almost never included in a bankruptcy discharge. This list is incomplete, but most other exceptions refer to corporate or business bankruptcies. Is It Possible to Get Student Loan Debt Discharged? The low rate of success in relieving student loan debt isn’t entirely related to the difficulty in doing it but also top the few people who attempt to do so. Only 0.1% of people who have filed for bankruptcy purposefully try to relieve student loan debt in the process. Student loan debt is rarely discharged in a bankruptcy, but it’s possible for those who suffer an “undue hardship” as a result of their student loans. To prove an “undue hardship” requires a second, related lawsuit to a Chapter 7 or Chapter 13 bankruptcy. Proving undue hardship isn’t necessarily difficult. But it often requires legal representation, which can off put for those already in dire straits. However, to seek a bankruptcy discharge for student loans is worth trying if your loans have poor terms, high interest rates or unmanageable balances. A study published in a 2012 edition of the American Bankruptcy Law Journal found 39% of those who challenged their loans received either a partial or full discharge of both private and federal loans. To remove or reduce student loan debt requires you to meet three obligations outlined in the Brunner test. First, you must prove that student loan payments make it impossible to maintain a minimal standard of living. For example, the minimum amount due puts rental prices out of reach in the local area or prevents you from paying essential bills like heating. This also requires proof that it’s impossible to obtain an increase in pay. Second, you must prove there are extenuating circumstances preventing you from repaying your loan at any point during your loan period. Disabilities, poor-quality education or meeting the highest position or pay-standard in your field often qualify. Finally, it’s essential to prove there was an attempt to repay. For example, you make some payments, apply for income-driven repayment plans and attempt to balance your budget. Bankruptcy is a complicated but worthwhile legal process that offers borrowers who’ve faced years of struggling with debt a precise end date. Although the bankruptcy discharge alleviates most common debts, not all bills qualify for relief, especially if a creditor sues. If your bankruptcy discharge was delayed or essential debts are left on your record, you have legal options. Discuss your case with a lawyer to ensure your bankruptcy discharge is the end of your debt.